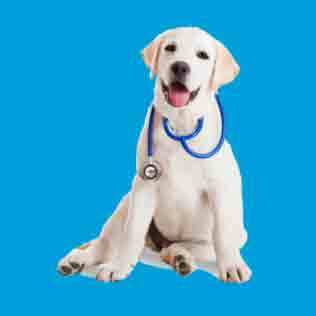 Check with your veterinarian or simply in the veterinary practice, which is important for your dog for the travel pharmacy. Our recommendation for the travel season with dog is the spring or autumn, because summer in Croatia is very hot and dry. It is good when all the important things in the car, such as Antidepressants or sedatives, are ready for use! To the map with the veterinarians in the Kvarner Bay! Our house Bozica is a dog friendly house on the island of Krk. It is a popular holiday destination among dog owners, their families and four beers. Not only you, but also your dog will be welcome as a guest! Here you can enjoy a few days a year with your family and your four-legged friends. You can always ask the landlady for information for your dog or for yourself. Our Tip: Save the number and address of the veterinarian practice of Krk (is also good for other holiday destinations with dog already before research) before the beginning of the journey in your mobile phone, then you have the emergency number already stored and need not search unnecessarily! You will find the number and address from the veterinary clinic on the island Krk on the dog beach map further down or right Important.